The Texas flooding catastrophe is far from over. 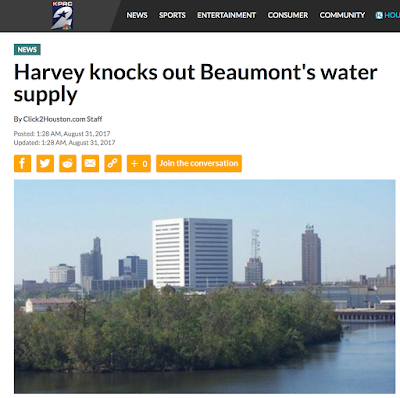 In addition to Greater Houston, I have tried to focus on the continued threats to the Beaumont-Port Arthur-Orange area including posting a forecast for unprecedented flooding (scroll down) yesterday evening. Unfortunately, things are just getting worse. Since the Neches River is still rising, the fresh water supply will not be back soon. Beaumont is a city of 118,000+, so providing water for drinking, washing, etc. is going to be quite a challenge. 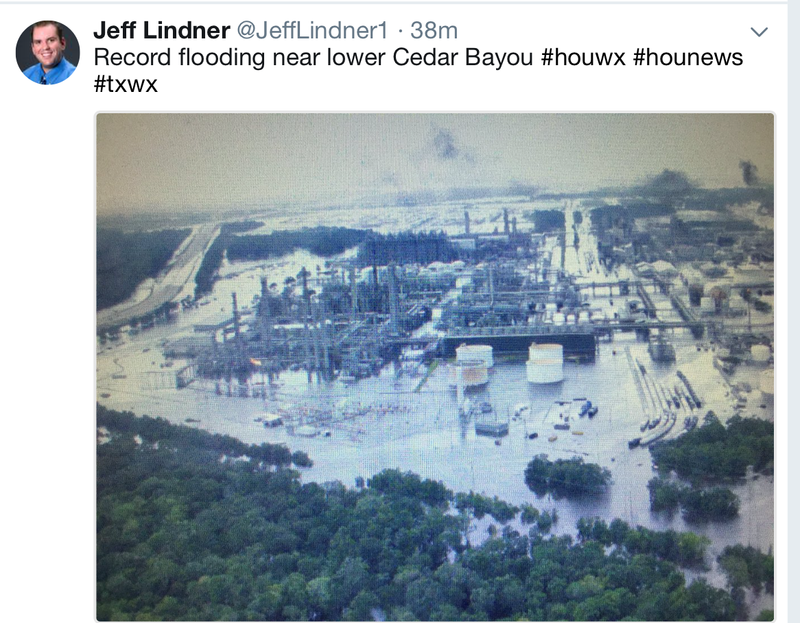 The Beaumont to Houston area is especially critical to the U.S. economy because of the concentration of oil refining and chemical processing. 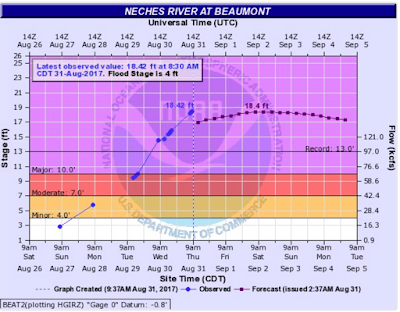 Added info: Here is an update to the hydrograph posted below. 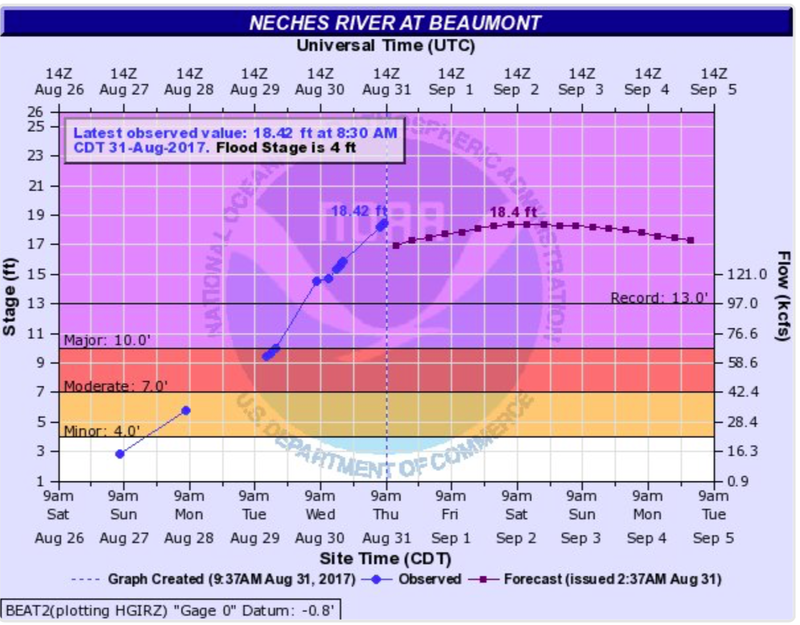 The Neches is rising even faster than forecast to a crest that is higher than forecast. Note how far above the record the river level is! Here in Wichita, as of yesterday afternoon, gas was up 40¢ since Saturday. Via Twitter, the image below is part of the reason why.